Here’s a little fan fun for today. I’m a HUGE fan of Rebecca Sugar’s series, Steven Universe. I love it so much I will have to save how much I love it for its own post because I don’t have the energy today. It’s just awesome go see it! TL;DR awesome ladies of all shapes and sizes with crystal powers fighting to save Earth with the help of a sweet young boy who you just want to hug. Not saccharine, not sappy, just a lot of heart, good messages, great characters, and awesome music. Fun for all ages. 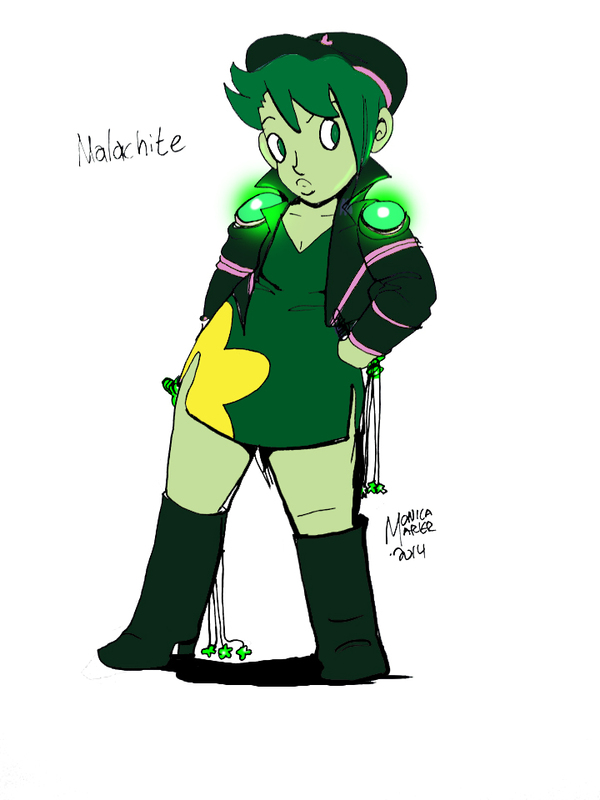 Rebecca Sugar, meanwhile has encouraged fans to make their own “gemsonas” or crystal gem versions of themselves.So today I humbly submit to you: Malachite. Today’s inks were all about getting down Rebecca sugar’s own style: colour scheme, paying attention to the star detail, round flowing lines without a ton of detail, the gemstone placement, and, most importantly, to not shy away from my real body-type. Her style embraces the curves and flaws of real people, so I’ve been extra honest here with my curves. 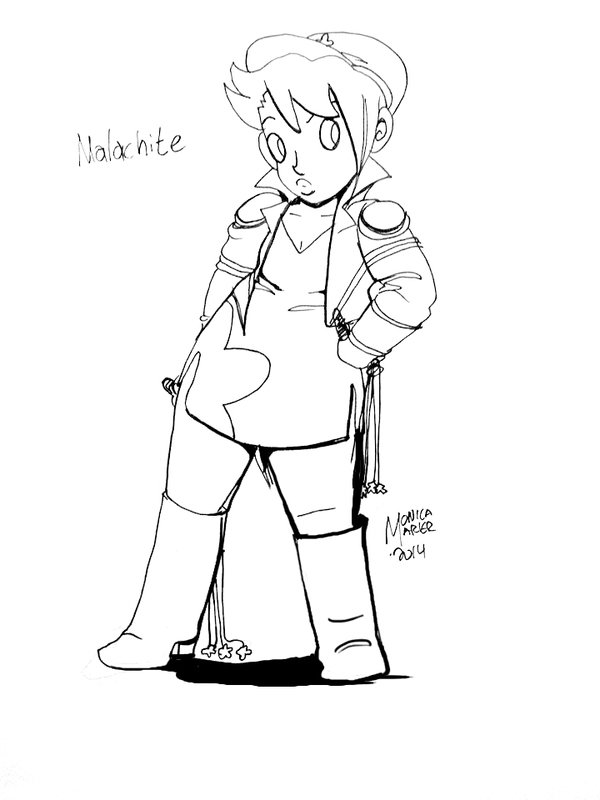 I added colour in photoshop, because you really NEED colour on a crystal gem to make it stand out, but the ink version is below here. So, I had fun today! Later! Nice! Which do you think I should be, Labradorite or Fluorite? I always loved my Fluorite samples in my rock collection.